So as of our Saturday evening snowfall, we have officially reached our snowiest season of all time in central Indiana. Can I just say, I'm OVER IT. Well, Friday afternoon and evening we got about 6 inches of snow that was followed by freezing rain down south. They had an amazing auction planned that was not going to be cancelled for anything. Under normal conditions, it would have only been a 90 minute drive. Well it was about 2 1/2 hours instead. Apparently all of the plow drivers had given up at this point. So me and mom got there right as it started, instead of having time to browse and look. It was a big advertising auction. There were some really amazing, rare pieces. Most I couldn't touch with a 10 foot pole, they were so pricey. But, what I really went for was the 2nd ring of the auction, which was the remaining contents from a closed antique store in Indianapolis. And it was all in box lots. And you couldn't buy individual items. You had to buy the box. I need stuff badly for the booth, so this auction made perfect sense. So, let's see what I brought home! 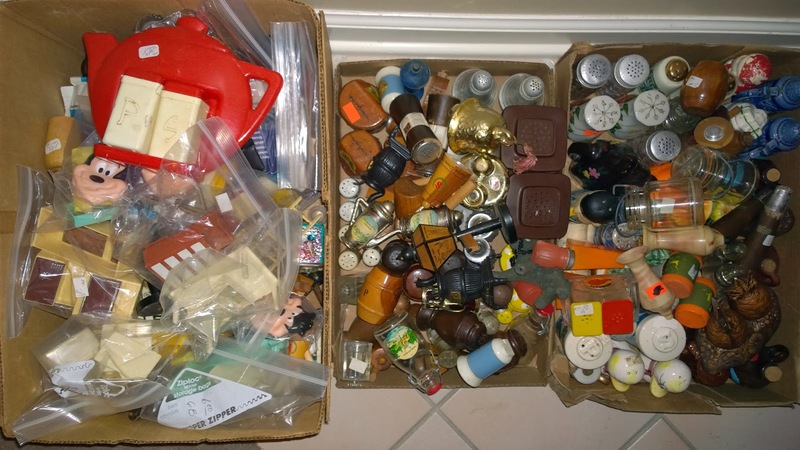 Box lot items - who can help me ID these? So happy to get more Christmas goodies. Lots of HA and other random plates. 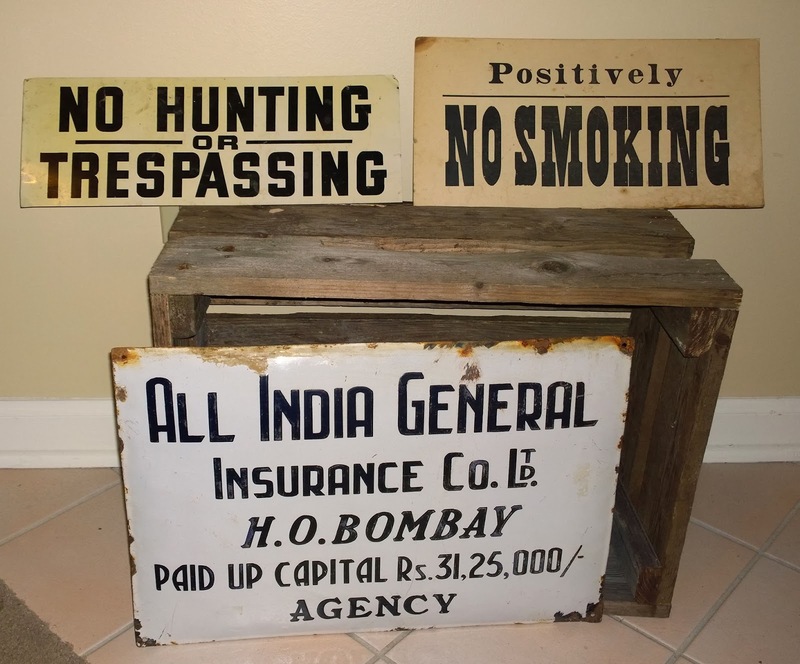 A few signs from the main part of the auction. and Indianapolis, IN biz back in the day. 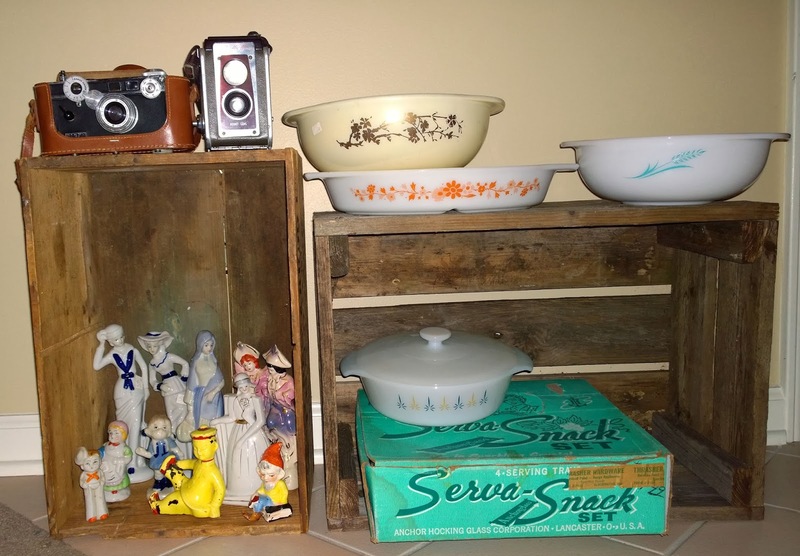 Dollhouse furniture + more S&P shakers. So, I'm happy with what I got! Lots of cleaning off of old price tags to come! Can't wait to get some of these goodies to my booth. I thought last month was bad, but this month has been DISMAL at my booth. Only 11 days left in the month... I hope it picks up! What would you buy from what I bought? How neat! I can't believe you drove in ice to get there. That must have been scary. 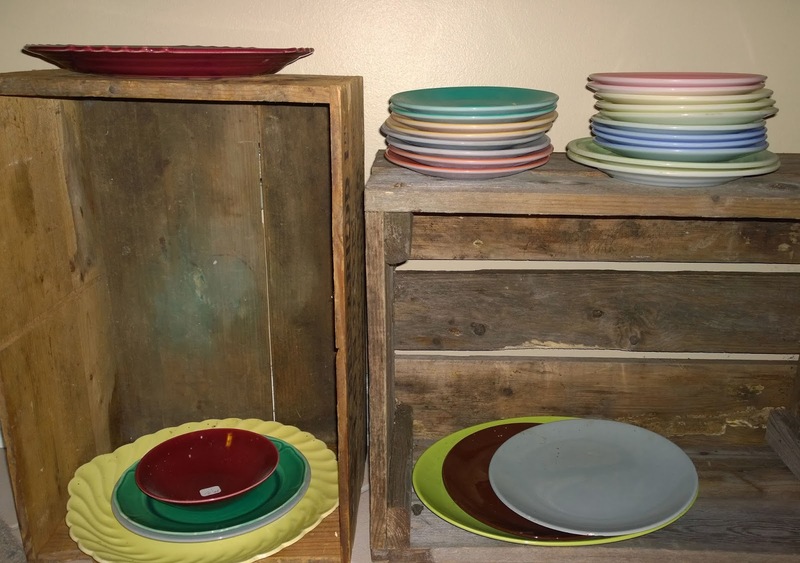 Since I am trying to declutter so we can sell our house, I don't think there is anything there that would make me break my resolve not to buy anything right now, depending on what is in that stack of little plates. Specifically the 3 blue ones. But I can't tell from here if that is what I'm looking for. 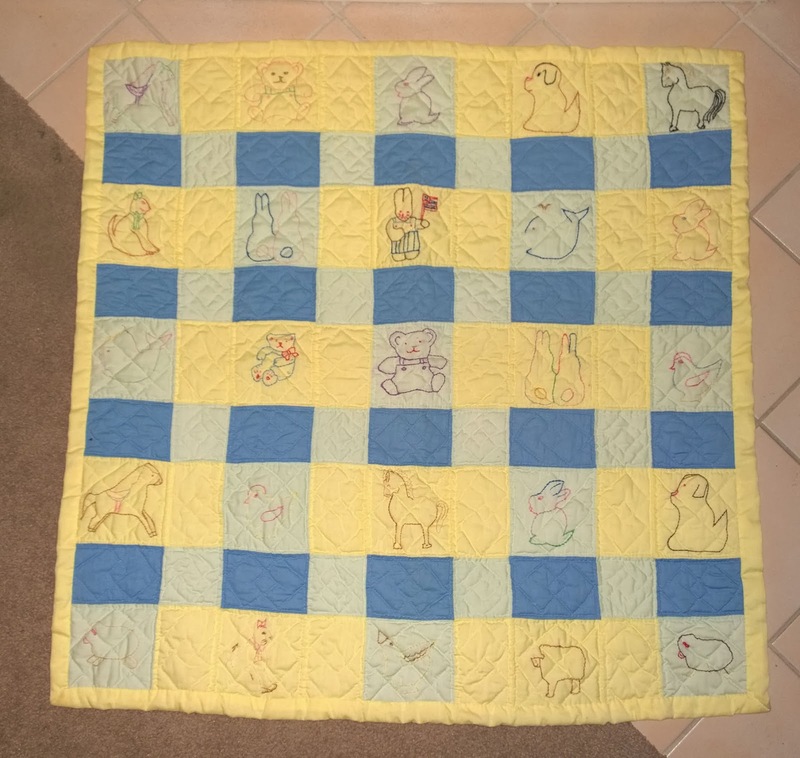 However, if I knew I was moving to a larger house, I would buy the baby quilt for sure. In fact, I have one like it, but mine is very worn. In your second photo, the little boy with the orange sailor tie, was it made in Japan or Germany? 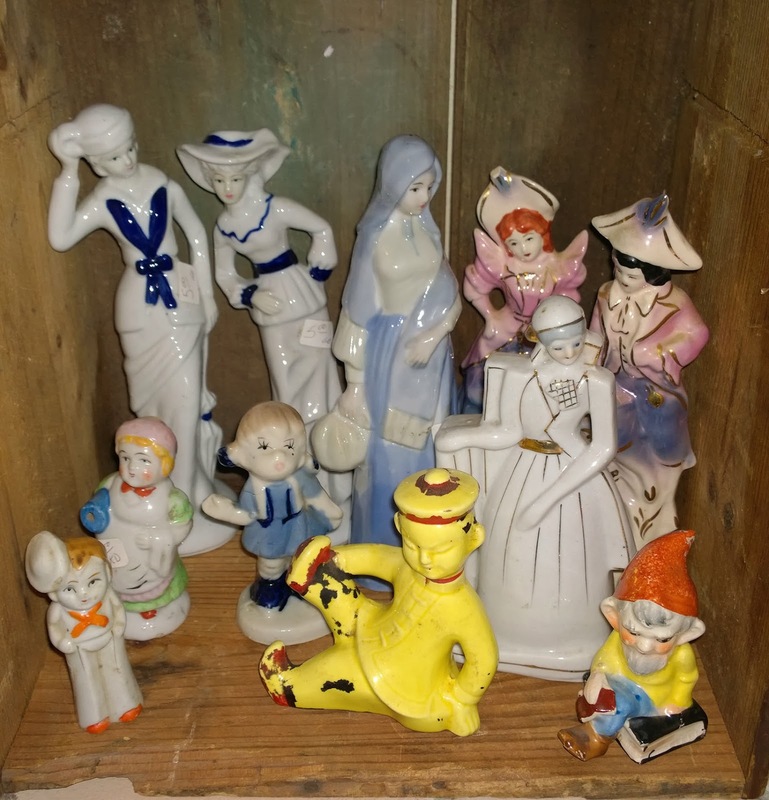 If Germany, and porcelain, you should do some research on it and the one behind it. I remember hearing that those were very desirable at one time but I haven't kept up with that. Loving all of the Swanky Swigs. I collect them and have some of the smaller green, red, and white ones but I have never seen the bigger versions of them. SCORE!! You killed it! It looks to me like boxed lots are the way to go! 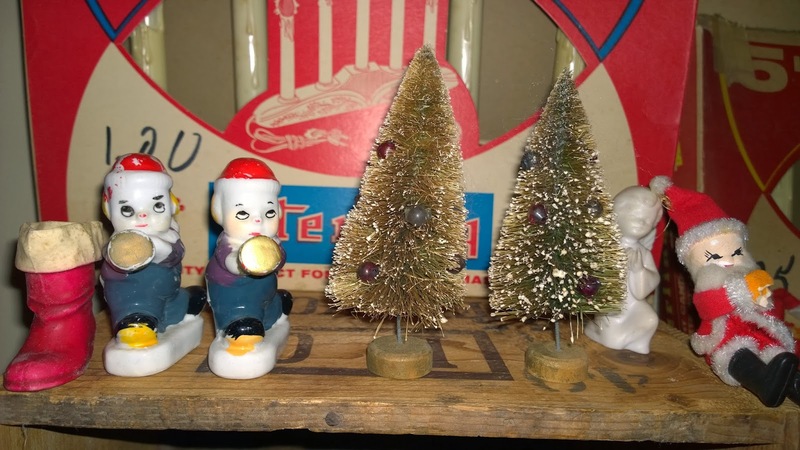 Look at all those salt and pepper shakers. And the Swanky Swigs and Pyrex. Awesome! My booth is pretty bare of good stuff right now too. This damn snow weather and my sick kiddo have made it impossible to get out. Lets cross our fingers for better weather and a killer junky spring. You totally cleaned up! I love everything, but especially the pastel plates and swanky swigs. I can't believe you braved the weather on Friday. It took me THREE HOURS to get home from the office that night - ugh! Gosh, what treasures. 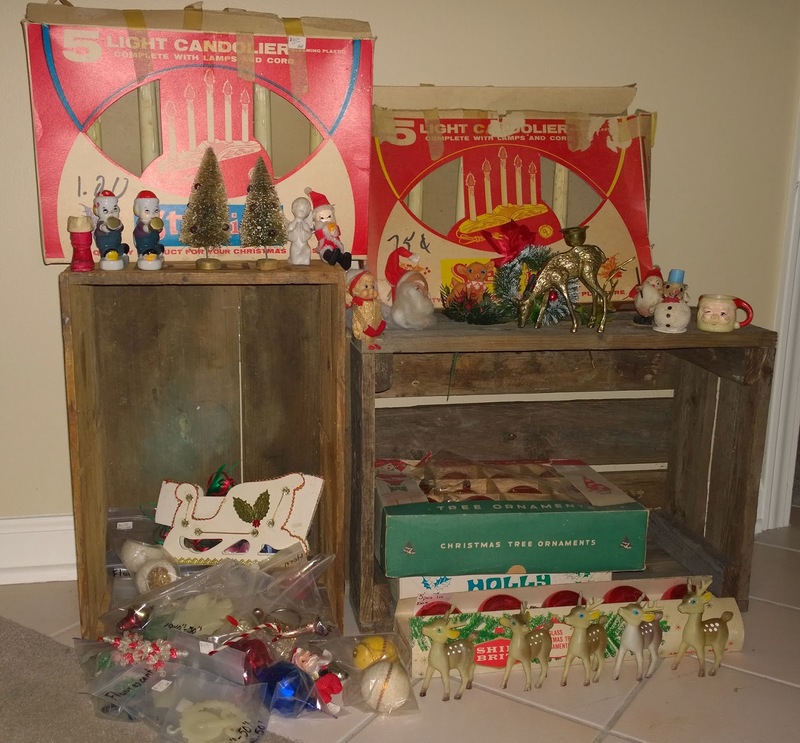 It is always wonderful to get a wide variety of smalls for a resale booth. 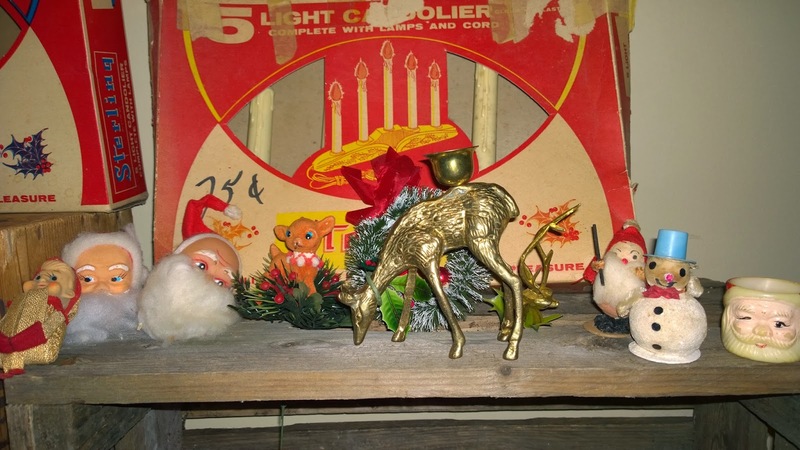 Love the vintage Christmas! 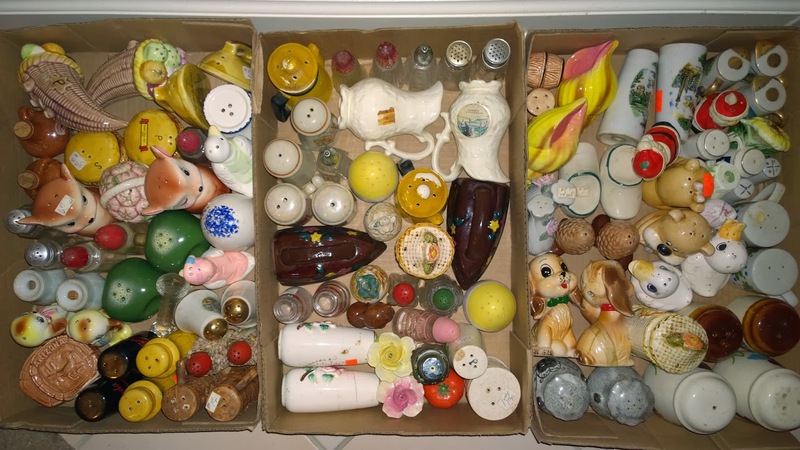 That's a salt & pepper collector starter collection if I ever seen one. Love all the Christmas! 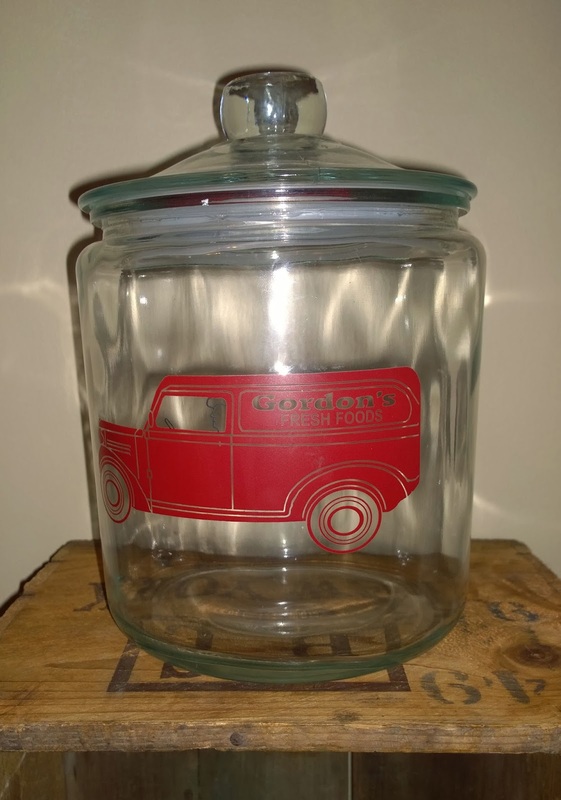 There is a jar like that Gordons in one of the antique markets I visit (about 2-3 times a year, it's quite far), but they are asking $75 or something. I'd have bought it if it were cheaper. I forget what they are advertising. though. Man that's a ridiculous amount of salt and pepper! 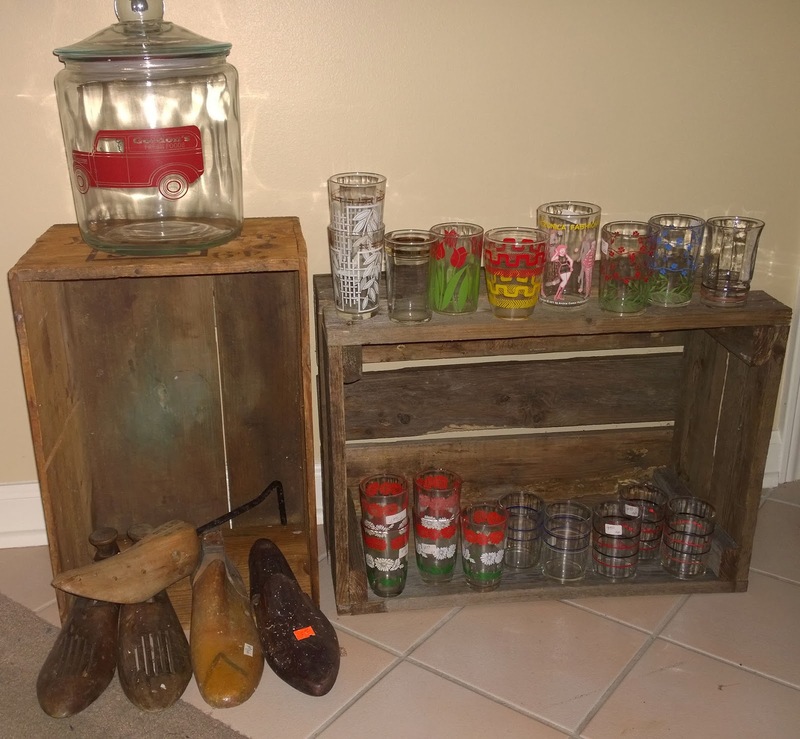 You got some great treasures and that should fill out your booth nicely. I love the Gordon's jar and the swanky swigs. Thanks for sharing at TTF!